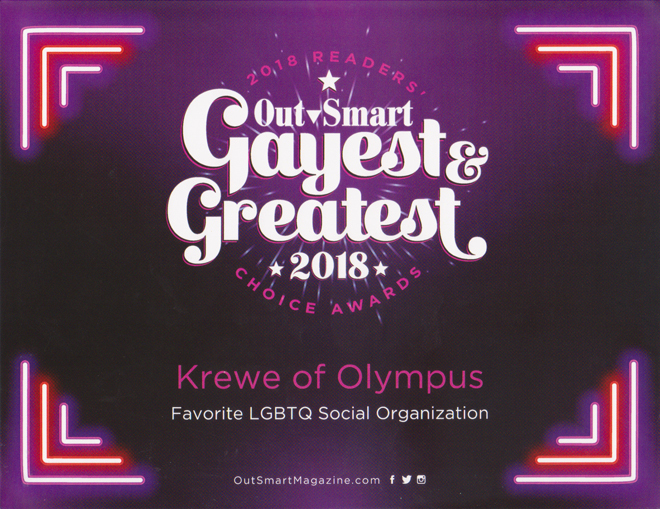 Welcome to the home page of the Krewe of Olympus - Texas, Inc. We're a Mardi Gras krewe, now based in Houston, Texas USA, that started in New Orleans in 1970. 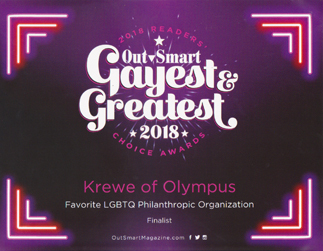 We are one of the largest predominately gay Krewes in the United States, although our membership is open to all. 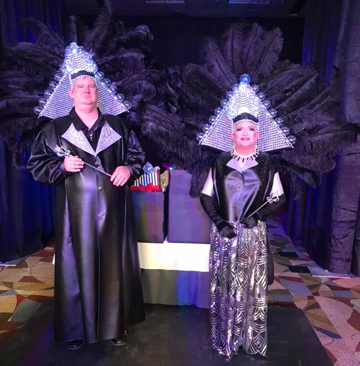 Our principal aims are to present theatrical and educational events that perpetuate and continue Mardi Gras traditions and to raise money for community charities. Since moving to Texas, we've donated hundreds of thousands of dollars to Houston and Dallas Charitable Organizations. 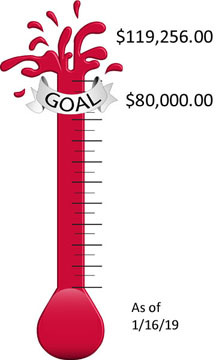 We are a 501(c)(3) non-profit organization. You will find more information about our charitable programs on the services page. We invite you to explore our site. You'll find information about events, membership, and sponsorship should you be interested in joining or sponsoring our activities. Donate to the Krewe of Olympus every time you shop at Kroger by linking your Kroger card to the Krewe of Olympus through the Kroger Community Rewards program. Enroll at www.krogercommunityrewards.com. 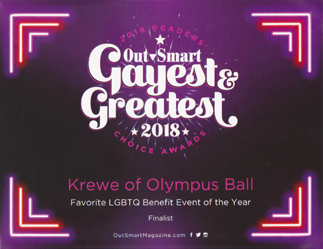 Enter "Krewe" in the search box and select Krewe of Olympus - Texas, Inc. or just enter our organization number 80686 in the search box to link directly to the Krewe. 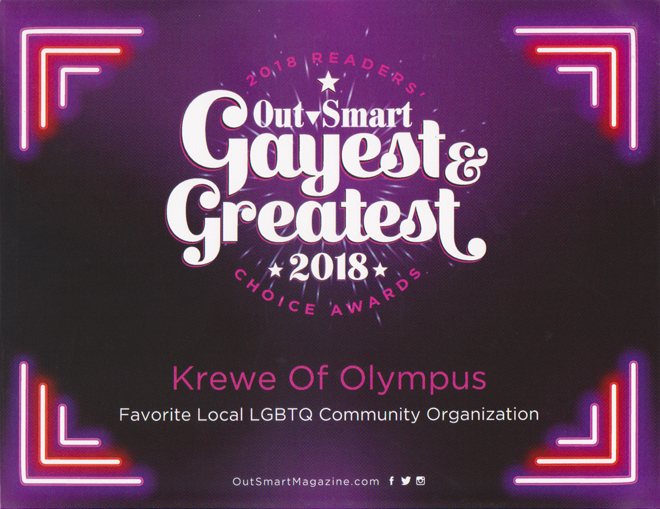 Thanks for helping the Krewe take advantage of this fantastic community resource.